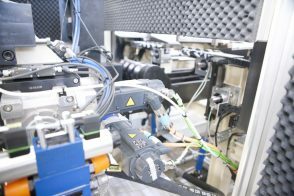 The demand for automated solutions is high in almost all sectors because improving quality and productivity whilst also reducing costs is essential for the economic success of a company. And this is where we come in. 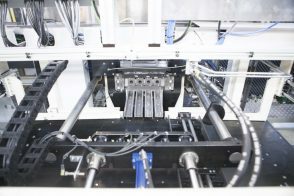 FGB develops, designs, produces, installs and delivers innovative automated solutions in the special machine construction field that fulfil all customer desires. This means that complex tasks, individual and tailored to the needs of our customers, can be automated efficiently. As an FGB customer, we can look forward to a comprehensive service from one source: a personal contact person will be on hand throughout all concept, development, production, installation and commissioning phases. But our service doesn’t end here. Even after the successful implementation of projects, we offer maintenance and other services, and are available to offer you support. As your competent partner for any issues and questions connected to the construction of special machines, we help you to improve your efficiency and to sustainable success. For instance, our customers come from the automotive sector, aerospace and defence technology, and also the electrical, paper and plastics industry. Just contact us and experience our free support service. We will work with you to find a solution that is tailor-made for your requirements.